Background/Purpose: Healthcare transition is the “purposeful, planned movement of adolescents and young adults with chronic physical and medical conditions from child-centered to adult-oriented health care systems.” The American College of Physicians has partnered with national organizations, including the ACR, to develop guidelines and tools to promote a smooth transition to adult care. We aim to assess current transition practices and beliefs among North American pediatric rheumatology providers and to identify differences from a 2010 provider survey published by Chira et al. Methods: In April 2018, Childhood Arthritis and Rheumatology Research Alliance (CARRA) members received a 25-item online survey about healthcare transition. Got Transition’s Current Assessment of Health Care Transition Activities for Transitioning Youth to Adult Health Care Providers was used to measure clinical transition processes on a scale of 1 (basic) to 4 (comprehensive). Bivariate data analysis was used to compare 2010 and 2018 survey findings. Results: Over half of CARRA members completed the 2018 survey. Participants included pediatric rheumatologists (74%), adult- and pediatric-trained rheumatologists (4%), pediatric rheumatology fellows (18%), and other (4%), including emeritus faculty and mid-level providers. Most belonged to university-affiliated practices (87%) in the U.S. (91%). Providers aim to transfer patients at age 18 (23%) or 21 (33%), but the actual age of transfer is often 21 or older (56%). The most common target age to begin transition planning was 15-17 (49%). Few providers use the ACR transition tools (31%) or have a dedicated transition clinic (23%). Only 17% have a transition policy in place; 63% do not consistently address healthcare transition. Transition outcomes of interest included an adult rheumatology visit within 6 months of the last pediatric visit (80%), adherence to medications and plan of care (78%), continuous insurance coverage (78%), and patient-reported gaps in access to care (76%). When compared to the 2010 survey, improvement was noted in 3 of 12 transition barriers: availability of adult primary care providers, availability of adult rheumatologists, and transition knowledge and skills of pediatric staff (p<0.001). However, more providers cited the close bond among adolescents, parents and pediatric providers as a barrier (Figure 1). Conclusion: This survey of pediatric rheumatology providers demonstrates some improvement in transition barriers since 2010, though most practices still maintain minimal support for patients and providers around healthcare transition. Further research is needed to understand how to effectively facilitate transition to adult care for young adults with childhood-onset rheumatic diseases. Disclosure: K. Johnson, None; C. Edens, None; P. Chira, None; A. O. Hersh, None; Y. I. Goh, None; J. Hui-Yuen, None; R. E. Sadun, RRF CSE Grant; internal Duke grant for translational research, 2; N. G. Singer, None; L. R. Spiegel, None; J. N. Stinson, None; P. H. White, None; E. Lawson, None. Johnson K, Edens C, Chira P, Hersh AO, Goh YI, Hui-Yuen J, Sadun RE, Singer NG, Spiegel LR, Stinson JN, White PH, Lawson E. Differences in Healthcare Transition Views, Practices, and Barriers Among North American Pediatric Rheumatology Providers from 2010 to 2018 [abstract]. Arthritis Rheumatol. 2018; 70 (suppl 10). 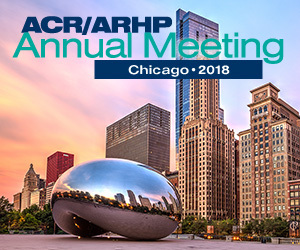 https://acrabstracts.org/abstract/differences-in-healthcare-transition-views-practices-and-barriers-among-north-american-pediatric-rheumatology-providers-from-2010-to-2018/. Accessed April 18, 2019.